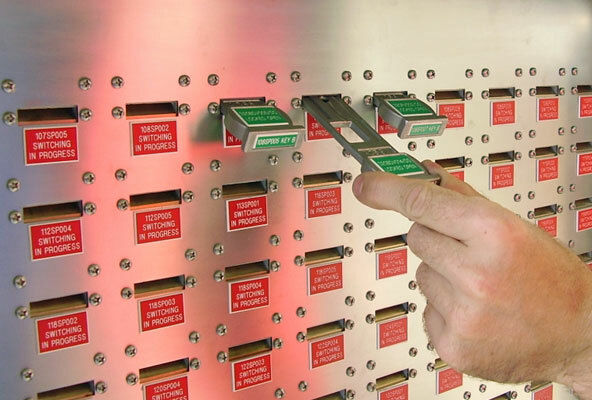 The Compact Key Cabinet offers an immediate visual identification of the status of the valves and related systems. The Compact Key Cabinet is available in different sizes and is wall mounted by standard. Pedestals in various sizes can be delivered as an option. Each key position is hard-coded so each interlocked system has a dedicated spot in the cabinet. Keys belonging to a specific interlock system can only be inserted in key position dedicated for that system. Various electronic components are added to a key cabinet, in order to increase the communication and authorization possibilities. These options can be offered separately or combined.